X-DTV is a project I’ve been working on with Yvo of xcores.org. The idea is to make a XS1-L1 64 based retro-minimalist homebrew game console similar in concept to the Uzebox and Zuzebox. Like the X-One before it, X-DTV will use Yvo’s VDP video engine but instead of driving a VGA output it will drive a NTSC TV output. We hope to get PAL TV as well but the 35.46895MHz oscillators have proven difficult to get a hold off (If anyone know where we can get them off the shelve without a large MOQ then drop me a comment). XS1-L1 64 internally clocked to 400MHz with 64K RAM. 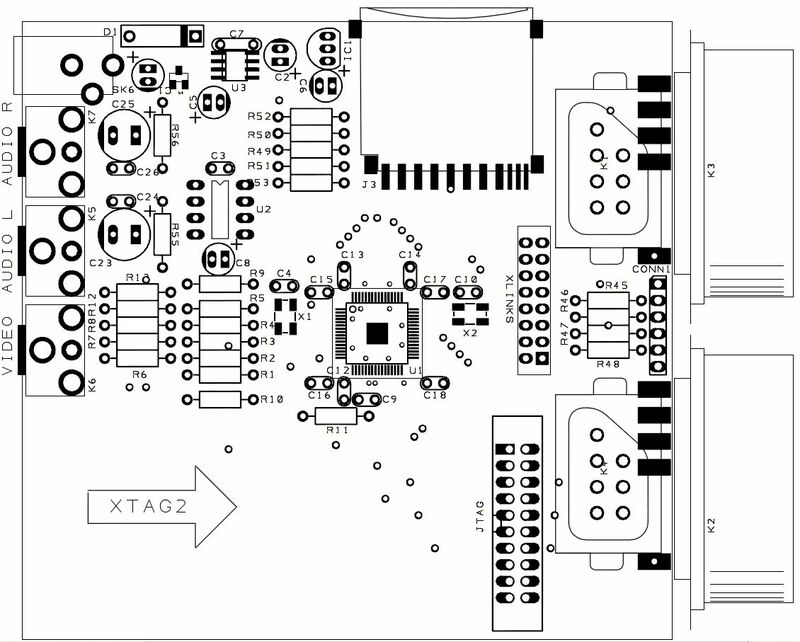 A PDF of the schematic is here. You are currently browsing the Zuzebox's Blog blog archives for January, 2010.